The decision came down during the annual Electronic Banking and Payment Systems conference in Tehran on Tuesday, the theme of which was "blockchain revolution," Al Jazeera reported. The central bank said it would reverse a ban from last April that aimed at preventing money laundering and would recognize global, regional and central bank cryptocurrencies. The bank further authorized initial coin offerings (ICOs), tokens, cryptocurrency wallets and cryptocurrency exchange bureaus, although mining will be a right reserved exclusively for the government. Using global cryptocurrencies as methods of payment inside the country remains prohibited. "We were hoping the central bank's stance would not again restrict the use of bitcoin and other cryptocurrencies in any way." The draft regulatory framework published late on Monday noted that only tokens backed by the rial can be used as payment, and that digital tokens can only be operated by certified Iranian banks and traded in licensed exchange bureaus. When the US unilaterally severed the Joint Comprehensive Plan of Action (JCPOA) last May, it set in motion the reimposition of economic sanctions against Iran designed to strangle the country's economy. Sanctions were lifted by the signing of the eight-party JCPOA in 2015 in exchange for Tehran agreeing not to pursue nuclear weapons and promising its existing ballistic missile stocks wouldn't be used for such weapons. US President Donald Trump claimed Iran violated this agreement and withdrew from it in May 2018, but the remaining signatories — the UK, France, Germany, Russia, China and the European Union — are unconvinced by Washington's claims and have continued relations with Iran under the JCPOA framework. 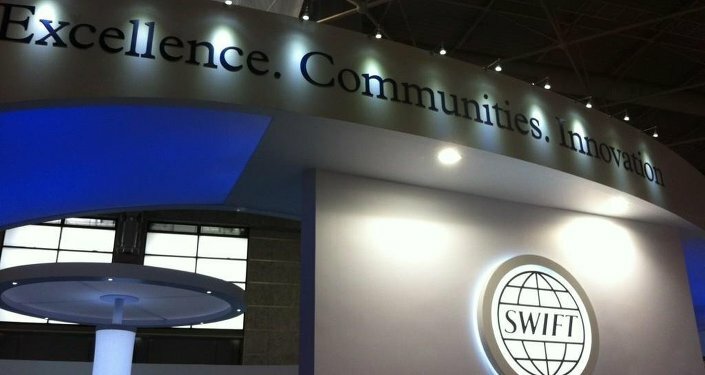 In November, Iran lost its ability to trade internationally by using the SWIFT secure bank transfer wire service, which is controlled from Brussels but which blocked Iranian usage under intense US pressure. "Starting a new chapter in its international monetary transactions to circumvent US-led sanctions, Iran is in negotiating the use of cryptocurrency in its financial transactions with eight countries," the acting head of Iran's Trade Promotion Organization told Tasnim news agency on Monday. The Tehran Times noted the eight nations are Switzerland, South Africa, France, the UK, Russia, Austria, Germany and Bosnia and Herzegovina. Further, in November, Iran signed a trilateral blockchain cooperation agreement with Russia and Armenia in Yerevan. As the free market for cryptocurrency trading has shown its wild unpredictability, with bitcoin ending 2018 with only 20 percent of the value it had at the beginning of the year, most of the casual trading has fallen off and nations are trying to use "blockchain to translate national currencies into digits and gain unprecedented control over the financial system," Sputnik wrote in late December. Venezuela's Petro, a cryptocurrency backed by the price of Venezuelan oil, is one example, but so are the proposed joint-cryptocurrency by Saudi Arabia and the United Arab Emirates and the crypto-yuan China has explored launching. However, while the Petro has substantially increased in value since it went on sale in October, it has failed to effectively stabilize Venezuela's hyperinflation, which Venezuelan President Nicolas Maduro cited as the primary purpose for its introduction, CoinTelegraph reported. Fan Yifei, vice-governor of the People's Bank of China, saying in a statement last March that introducing the new digital currency would help Beijing clamp down on the shadow economy by increasing the transparency of transactions. Abu Dhabi has cited similar concerns, effectively limiting international trading of digital currency to bank-to-bank exchanges while using its government-issued digital currency Emcash as a stand-in for consumer exchanges to help the country go cashless, Sputnik reported last month.